Following the recent devastation of Typhoon Haiyan in the Philippines, it is time to revisit the links between the environmental damage of plastic bags and their potential as inexpensive collection infrastructure for local compost systems. Gerry Gillespie shares his views on the topic. The plastic shopping bag in recent years has been become an environmental scourge. It seems there is no end to its production, size, shape and pollution levels, particularly in poorer communities. However, is it possible to change the role of the plastic bag from environmental vandal to local hero through a new found use in composting? Yes. The plastic bag is deadly. Within the animal kingdom, bags populate our seas and farms where it kills thousands of animals by swallowing or tangling animals’ legs, beaks, wings or tails. What is more surprising, perhaps, is the devastating effects plastic bags have on the human population. In Manila in 2009, it was estimated that Typhoon Ketsana killed more than 250 people when it struck the Philippines. In densely populated areas, Government authorities estimated that around 40% of the damage from the typhoon was caused by plastic bags blocking drains and increasing flooding in low-lying areas. Unfortunately, the poor often populate the low-lying areas. The culprit was noticed. Subsequent community recycling programs in poorer areas such as Marikina, Philippines addressed both the excess of plastic bags and lack of recycling by using plastic bags to collect and recycle discarded materials from the streets. This video does a great job at illustrating this new program. The new recycling programs were unprecedented as it’s a well-known fact that the poorer populations around the world do not have access to recycling programs. Indeed, the UN estimates that 48% of the world’s population does not have access to even an elementary garbage service. The principal reason that nearly half of the world’s population has no garbage service is that they cannot afford to pay for the elaborate bins and vehicles used by the garbage industry. To that end, wealthy “trash” companies do not invest in access to the poorer populations, simply because there is no money in it! 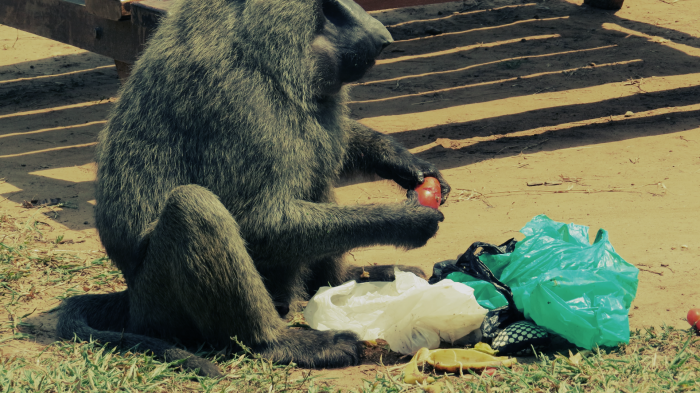 Yet it seems, (like it or not) almost all populations have access to plastic bags. Regardless of the social demand for better packaging and bans by government, plastic bags have the same horrific environmental consequences. That is, unless plastic bags can removed from the environment through finding an ulterior “exit” use for them, possibly with community benefit. This is where things become interesting and revolutionary. Given that many of the impoverished populations have the same two strikes, a lack of garbage services and a proliferation of dangerous plastic bags, is it possible to use the bags as infrastructure for collections of waste materials?